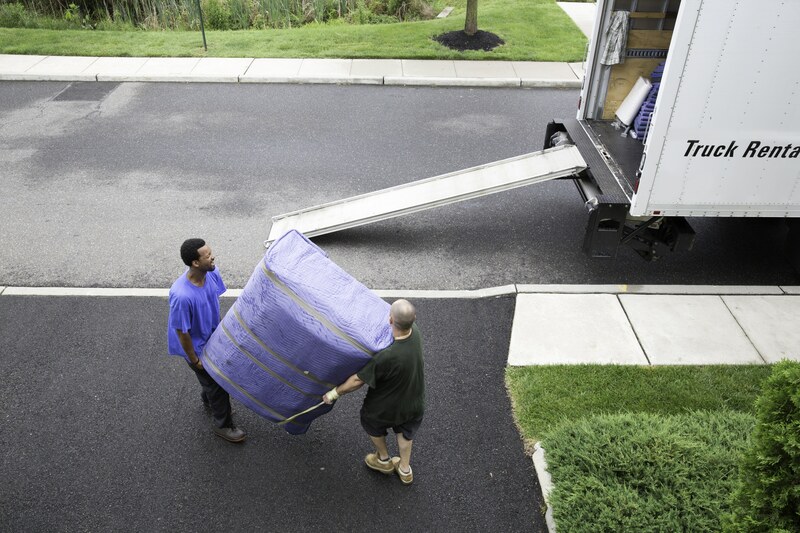 Specialist carriers know the importance of moving furniture correctly to ensure that it remains undamaged. Whether it is from manufacturers, retail stores, or moving, safe transportation is about reputation. Top transporters blanket wrap furniture and unpacked freight so it arrives safe and sound. Loading a truck with furniture requires a lot more planning and effort than just placing items onto a truck. Freight needs to be loaded in reverse order of delivery. Heavy items need to be evenly distributed within the trailer to meet the National Heavy Vehicle regulations for safe loading. Freight needs protecting and securing to avoid being damaged in transit. Blanket wrapping is considered one of our best solutions for protecting our customers’ goods, ensuring your goods arrive to site undamaged. Blanket wrapping is a service where transporters or specialist furniture freighters wrap unpacked freight in blankets before securing them in the truck. This is a fantastic way for suppliers and manufacturers to transport their sensitive freight across states into retailers or their end customers. Safe, environmentally sustainable, and cost-effective. Blanket wrapping protects your freight from the straps while secured in the back of the truck. It also adds a level of protection and movement absorption while in transit. Blanket wrap services are exactly as it sounds. It is wrapping goods in thick blankets to cover and protect them from the dangers of transporting from end-to-end. Transporters use blankets to take extra care of fragile and sensitive goods. Thick blankets help to protect goods from the impacts of loading during transit and while unloading. No matter the care taken by freight handlers, there are always circumstances beyond their control. So blanket wrapping adds another level to protect goods (on top of careful handling) from the harshness of moving from one point to another. Trade show exhibits. Make an impact on trade show visitors with exhibits that leave a good impression. You need your equipment and trade show exhibits to arrive in one piece and in good condition. Blanket wrap them so they arrive safely. Fragile industrial equipment and robotics. Sensitive, complex machinery needs extra protection while in transit. They are sensitive to even the slightest jolting. Blanket wrapping prevents damage when loading and unloading, and while on the move. Blanket wrapping is the safest method to protect furniture, and sensitive and delicate items, while in transit. Do not risk damage to your property in transit through improper handling. Use a freight service that does not put the safety of your valuable freight at risk of damage. Using blankets to protect freight saves you money by reducing the cost of boxes and other types of packaging. They minimise waste. Transporters can fit more freight on board while your goods remain protected from damage in transit. Furniture freighters use blankets to protect unpacked freight and deliver it using the white glove service. Freight is checked for damage in the terminal before delivery. It is then rewrapped for delivery to its final destination. You will receive a call before they deliver to let you know the delivery is on the way to you. On arrival the transporters assess where the freight needs to go before unloading. Once they know the layout, they unload the freight and deliver it to exactly where you need it. It is setup according to your instructions and can even assemble your items if required ready for immediate use. 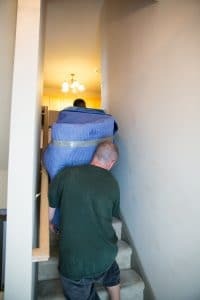 Next time you need unpackaged goods moved, try a furniture carrier that offers a blanket wrapping service so it arrives in excellent condition. Contact us today by calling 1800 999 102 or see our services page for more information.